Legend says (also Wikipedia) Ulysses wanted to hear the Sirens’ song although he knew that doing so would render him incapable of rational thought. He put wax in his men’s ears so that they could not hear, and had them tie him to the mast so that he could not jump into the sea. He ordered them not to change course under any circumstances, and to keep their swords upon him to attack him if he should break free of his bonds. Upon hearing the Sirens’ song, Ulysses was driven temporarily insane and struggled with all of his might to break free so that he might join the Sirens, which would have meant his death. This is commonly referred to as the Ulysses Pact. Why do I refer to it here? To talk about self-control and its impact in our organizations. All of us have a high tendency to imagine our future selves to be much better than we currently are. We exercise more, eat healthy, work harder, and stay faithful and so on. Yet, we tend to yield to temptation that stops us from reaching our ideal future projection. What happens? 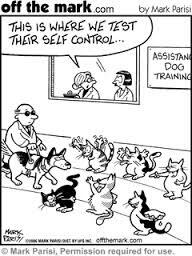 We fail to exercise self-control. There are then the different contracts or distractions that we create to stop us from falling into the traps of temptation; referred to as the Ulysses contract. However, the environment plays a huge factor in here. For e.g. as we move from a non-religious mind-set to a religious one, certain temptations fall out of the way by the mere virtue of being totally impossible to think about. Why is it that so many vegetarians by virtue of religion rarely get tempted by meat? Because their environment and religion conditioned them in that way. Research shows that the greater the amount of freedom given to an individual, it gets that much harder for him/her to resist temptation. I would explicitly draw out the impact of it in our organizations but I am sure you have figured it out. Organizations are continuously being tempted to offer a higher degree of freedom to their employees – be it flexible work hours, working from home, erasing parts from their policy handbook and so on. With each option being offered to an employee, the number of temptations are increasing. I for one, am totally in favour of dishing out greater freedom; but at what cost? Will the number of cases of non-compliance to basic requirements increase? Freedom works in increasing productivity to a certain extent. Post that, it shows a downward spiral. Much like the graph below. So yes, loosen the strings. But more importantly know when to stop – both at home and at work!